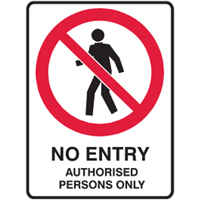 Prohibition Signs specify behaviour or actions that are nor permitted. The annulus and slash is depicted in red over the action symbol in black. Sign wording is in black lettering on a white background. 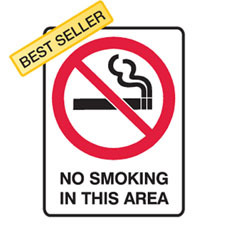 Prohibition signs comply to AS 1319 regulations.